The XC oriented Hei Hei will be available next year with two very different build kits (click to enlarge). When Kona launched their new Hei Hei cross country rig last year, there were several hints that a carbon version was also in development. 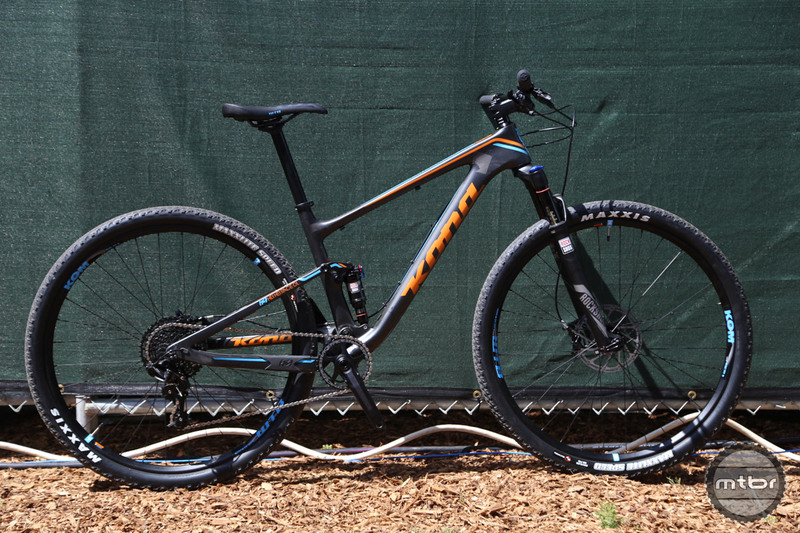 While Kona hasn’t formally announced the release of the new carbon Hei Hei, the brand had two versions of the forthcoming model on display at Sea Otter. The race version of the Hei Hei is a purebred XC machine (click to enlarge). 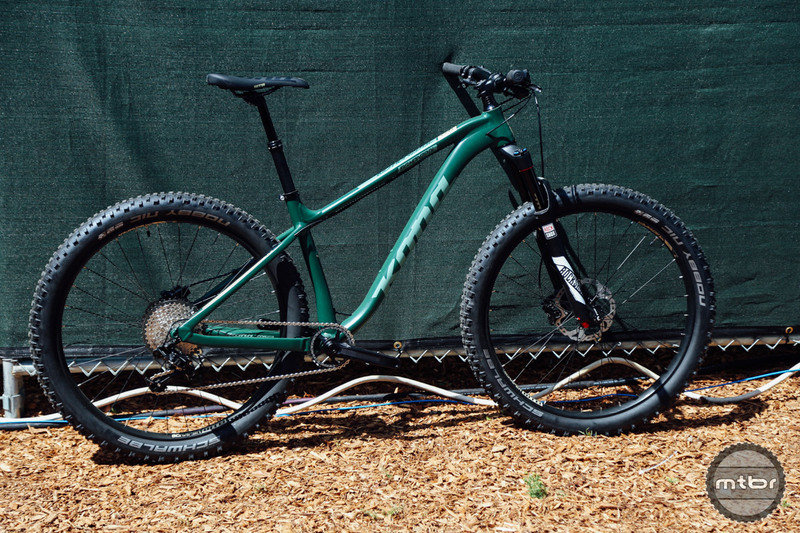 One was setup with a 34mm fork, dropper post, and aggressive tires (just the way we like it), while the second was dressed with a high post and the kind of tires you’d expect to see on an urban commuter. You could squeeze plus sized tires into the original Honzo, but it wasn’t ideal (click to enlarge). Moving further into the booth, there was a new plus model called the Big Honzo on display. 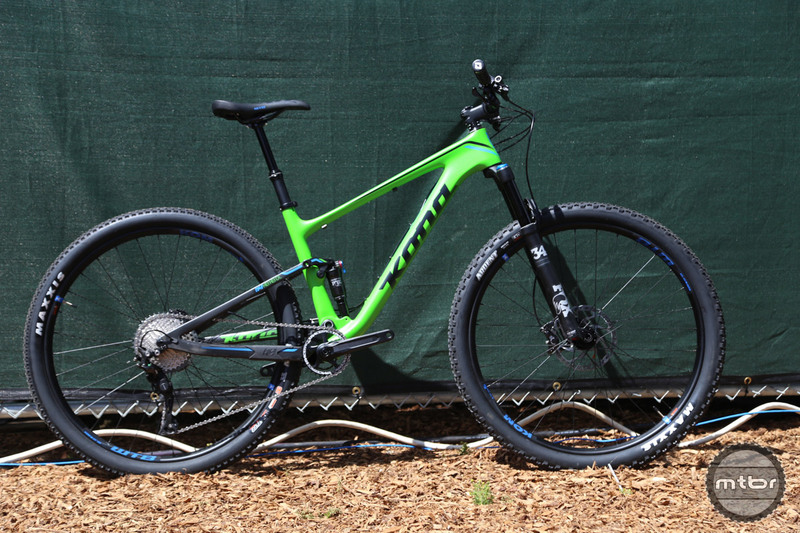 The regular Honzo is an all mountain 29er hardtail that eschews front derailleur compatibility in favor of super short chain stays and all out fun. Kona wouldn’t spill any details regarding the new bike, but from past experience, it’s safe to assume the Big Honzo will be a blast. The new Wozo has a similar look and built kit to the Kona Honzo (click to enlarge). 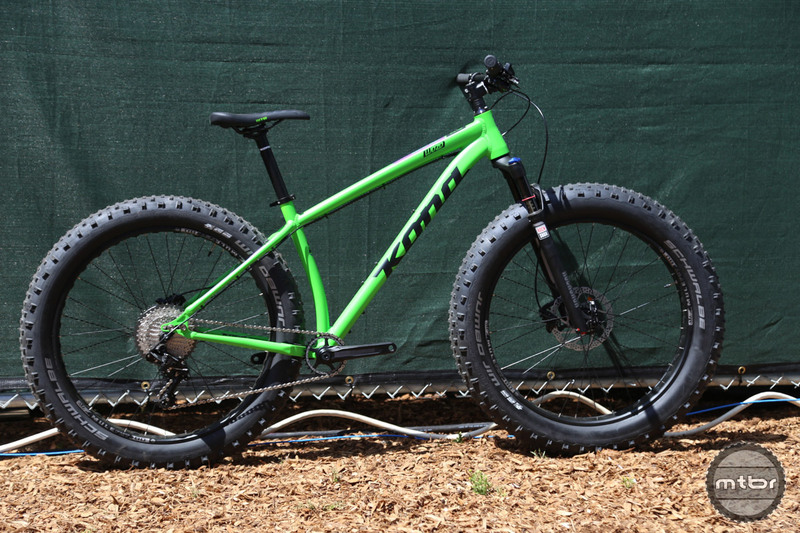 Perhaps the most interesting new model on display was a new fat bike called the Wozo, which appears to be a cross between the Kona Wo and Honzo. Like the Wo, the Wozo was spec’d with 26×4.8” tires, but the frame is more aesthetically similar to the Honzo, as is the build kit. We’ll have more info on all of these bikes soon, so stay tuned. For more information visit www.konaworld.com. The XC oriented Hei Hei will be available next year with two very different build kits. The race version of the Hei Hei is a purebred XC machine. You could squeeze plus sized tires into the original Honzo, but it wasn’t ideal. The new Wozo has a similar look and built kit to the Kona Honzo.